We are currently very busy getting everything ready for the moment we have been working towards for the past one and a half years: selling our DR.W. watch! In this blog we would like to give you an update on all the different parts, and also explain the Kickstarter process once more. Currently, prototypes of three colors of our DR.W. model ‘Jurre’ are being made. We will receive our prototypes late April or early May. Based on your feedback and intensive use of the first round of prototypes by several people, we have made a few alterations. These alterations will be reflected in the last round of prototyping. We can’t wait to receive them and share them with you! Two colors will be for sale during the start of our Kickstarter campaign (brushed steel-black and white-bronze) and in case of great success, we will be able to also include a third color option. Let’s start with the strap for the wrist watch. Those will come from our supplier in Italy. We made a selection and will offer you a beautiful range of about 10 straps in different leather types and tones, all made of real Italian leather of excellent quality. We will receive the samples of these straps in the next two weeks. Then the strap that is attached to the pocket watch. We are currently working on a custom handmade leather strap with a leather workshop in Amsterdam. We will be able to share some images of samples in the coming weeks as well! When we have received all parts of the watch concept, we will of course have to picture them and make a video for our Kickstarter campaign. Since the period between the moment we will receive all watch parts and our launch on Kickstarter is quite short, we have everything and everyone lined-up. We are very happy that Marc van Kessel is going to help us with the pictures. Marc is a colleague of ours, who is specialized in making the most stunning nature pictures you can imagine. He has won several awards – which in all probability won’t surprise you when you see his pictures. Will this be his big breakthrough in product photography ;-)? You can take a look at his pictures at www.marcvankessel.com. For Kickstarter we need a short movie. With the help of Reinder’s teammate Barry, who is a professional in making short commercials, we have made a really cool script featuring our DR.W. watch. He also recommended Arjen Perez, who will help us filming and editing a short movie about our watch and our story. Speaking to Arjen and seeing his work, the four of us are excited and confident this will be a great cooperation for one of the most essential pieces of our Kickstarter campaign. A big thanks to Barry who helped us a lot! Curious about Arjen his work? Visit www.arjenperez.nl. 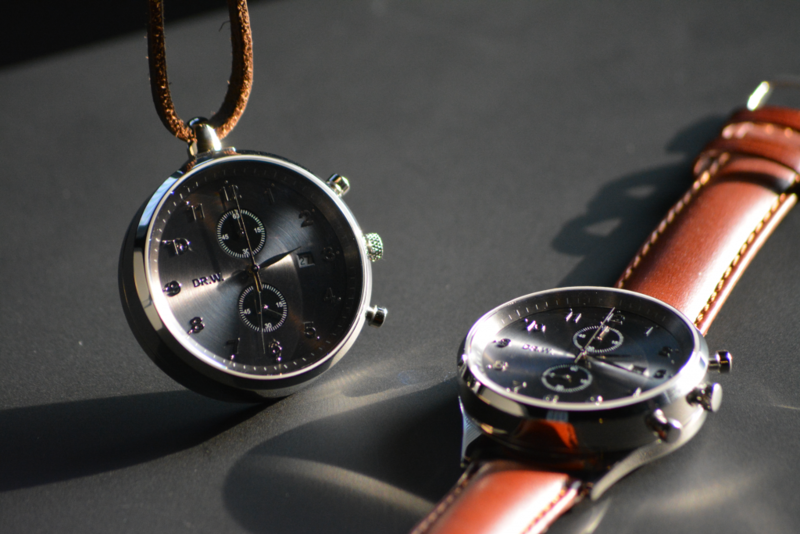 As you might know by now, we will sell our watch during a campaign on Kickstarter. If everything goes according to plan, we will launch our campaign on Reinder’s birthday on the 21st of May, and our campaign will end on David’s birthday on the 1st of July. So how does this work? On Kickstarter you can buy our watch. Only when we reach our campaign goal, which most probably will be set at € 20.000 (about 80 watches sold during our 40-day campaign), your money will be deducted. Kickstarter will then send all the money (minus some we have pay to them and their payment provider) to us and we will start production. You will receive your watch around 3 months after the campaign is finished (Sept-Oct). In return for your early support and the waiting, we will give you a very attractive deal that we will only do during our Kickstarter campaign (about 30% off future retail price). 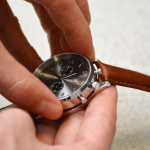 Of course, you will be among the first to have this unique timepiece around your wrist or in your pocket! We will make an extra attractive offer for the batch 0-50 and the batch 50-100. There is a lot of interest so we would like to encourage you to be fast to get the best deal that we can offer. Please let us know if you have any questions or you need any help. 1. To pre-finance our production. In this way we will be able to pay our producer in order to start the production. 2. It’s a good way to test the appetite for our product. With all the visitors on Kickstarter we should be able to sell at least about 80 watches, if not, we would doubt if we can sell them afterwards. 3. Kickstarter is a great marketing platform with tens of millions of visitors each month. Do you join us making this Kickstarter a success? The coming period will be busy again and very exciting. We would like to express our gratitude once more for all the help, tips & tricks, support and sharing our story. DR.W. has gained a great deal of exposure thanks to you all! We would like to ask you once more for your support by sharing our story by mouth, internet, social media or whatever you feel like :-). We are very confident we will able to reach our goal on Kickstarter with the help of all our great friends, families, colleagues, teammates, former class mates and all of you that have come from everywhere and help us spreading our story! It has been overwhelming so far, and it’s one of the non-tangible things that make this project something we are super proud of. If you have any questions, feedback or if we can help you with anything, please reach out to us! Lots to celebrate! One week live on Kickstarter!